The sixth studio by Coldplay, Ghost Stories, is coming out this month. With the exemption of the promotional single, Midnight, the band has released has released their second single from the said album after Magic. Continuing with the almost heart-breaking theme of the album, the song is veering for the hope of redemption offered by love, even if it tears them apart. But the thing that struck me most is it feels like the band is losing a grip on their taste and mainstream genre is almost creeping on their music. Listen to A Sky Full Of Stars by Coldplay, so you know what I mean. 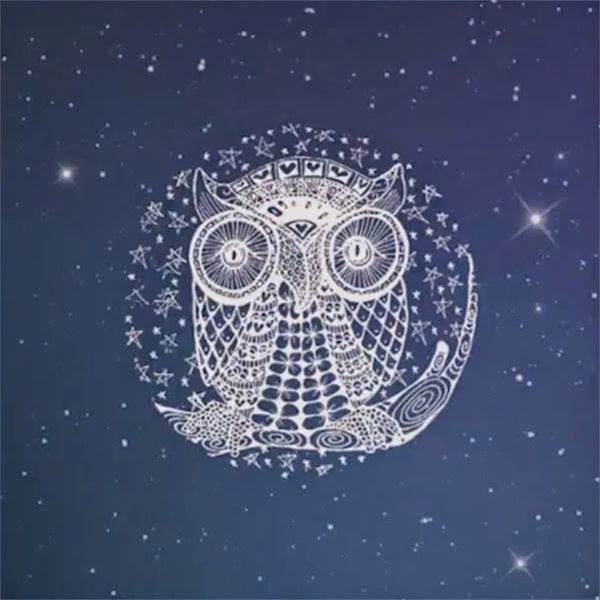 A Sky Full Of Stars is the eighth and second-to-the-last track from the upcoming album. It was written by the band's four-count members: Guy Berryman, Jonny Buckland, Will Champion and Chris Martin. The song was produced by the band, together with Avicii, Paul Epworth, Daniel Green and Rik Simpson. A common side effect of spinal cord injuries is difficulty or complete loss of bladder control, which makes working and getting out of the house for other activities frustrating. The National Center for Biotechnology Information reported on a University of Cambridge experiment performed on rats with spinal cord injuries. Researchers implanted a microchip that prevented unwanted voiding of the bladder. Ask your doctor about similar technology available for people, and for more information on bladder management, visit Spinal-Injury.net. These surgical procedures deal with the core issue as well as the other issues related to traditional spinal cord surgery recovery and aftercare. When patients aren't worried about surgical complications, they can focus on the rehabilitation process and overall life improvements. For more information on minimally invasive spine procedures, visit Laser Spine Institute. Several forms of assistive technology are making a big difference in the lives of those with a spinal cord injury. 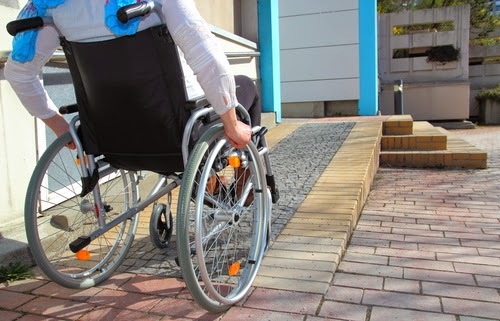 Wheelchairs in particular have seen significant advancesâ€”lighter materials, better engines and easier controls are helping patients get around easier. Stair lifts that work with the chair and stand-alone models deal with the tricky issue of getting to upper floors without an elevator. Technology is also being developed so wheelchairs can eventually deal with that issue directly, instead of requiring a lift. Computers and mobile devices have received several upgrades in this area, too. Speech-to-text programs help those who can't type, and specialized computer mice and keyboards are also available to accommodate special needs. Tobii PCEye uses eye motions to provide computer control, so people with limited or no arm and hand movement can use a computer for work and general browsing. Access to a computer helps quality of life through providing normalcy, entertainment and employment options. Smartphones and tablets have apps that provide similar functionality, and their mobility means they can be mounted on a wheelchair or another convenient location for easy use. A stylus or other accessory can be used to assist with input. For more information on assistive technologies that can help after spinal cord injury, visit the American Academy of Physical Medicine and Rehabilitation. Jeff Kinney just keeps the fun flowing. His long time running franchise, the Diary of a Wimpy Kid, is on its ninth offering and it's not showing any signs of wavering. Book 9, which is now officially titled as Diary of a Wimpy Kid: The Long Haul, much like describes the nature of the series! Aside form the title the cover has also been revealed, featuring a cramp Greg Heffley, sitting at the back of a flat-tired car. The cover is of orange hue, with all the colors of the previous books combined to complete the rainbow -- almost. 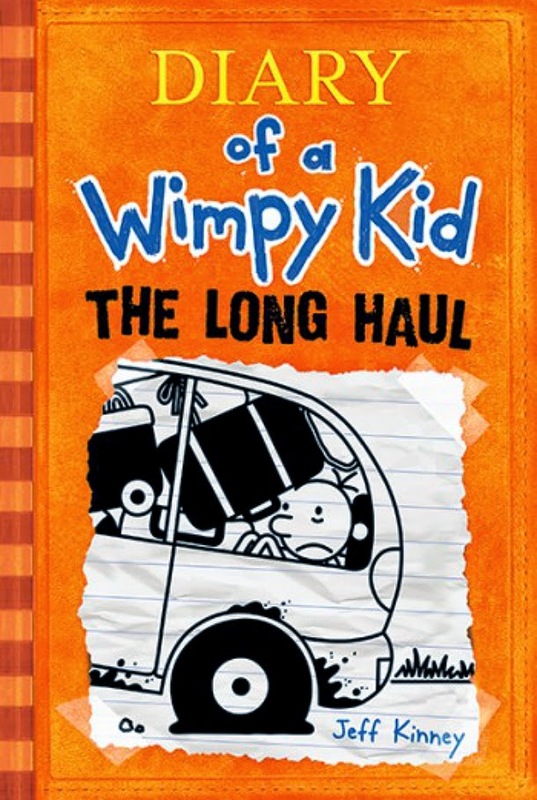 Here is the cover of Diary of a Wimpy Kid: The Long Haul by Jeff Kinney. Diary of a Wimpy Kid: The Long Haul by Jeff Kinney will hit bookstores on November 4, 2014. Music Video has been an avenue for many artists to show off their uniqueness, artistry and talent. Just now Katy Perry almost touched on the reality show genre by invading a few birthday parties, pretending to be someone else. Trying to ruin the fun, the prosthetics-heavy characters made it a memorable moment at the end of the day. It's quite amusing to see the actual reactions of every people, without knowing it was really the singer. Kudos in part to Katy's acting and performance. I would have been similarly surprised after the revelation. So far, this has been the most raw and inventive music video made by her camp, discounting all the special-effects-heavy ones. Watch Katy Perry in her new 8-minute music video for Birthday. Birthday is the fourth single from the singers fourth studio album, Prism. The music video was directed by Marc Klasfeld and Danny Lockwood. Dawn Rose and Nicole Acacio served as a producer and executive producer respectively. To make Katy Perry's appearance and performnce convincing she was transformed into new person by her make-up artist, Tony Gardner. Film editing and director of photography fell for Richard Alarcon and Joseph Robbins, respectively. 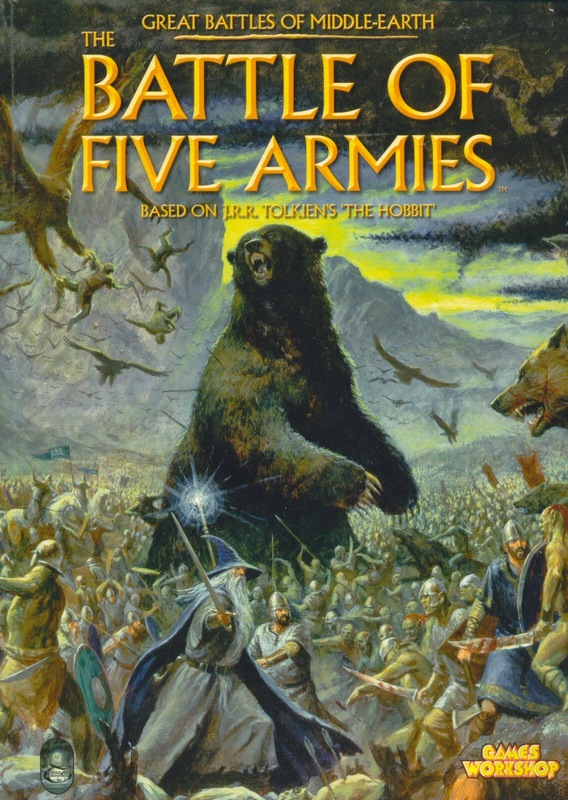 In a not so surprising news -- since this has become a fan speculation among blogs and forum -- the third Hobbit film has been subtitled as The Battle of the Five Armies, which was originally The Hobbit: There and Back Again. That is exactly one of the previously rumored and registered titles that received a positive feedback from fans. Read the statement made by Peter Jackson on his Facebook page. When we did the premiere trip late last year, I had a quiet conversation with the studio about the idea of revisiting the title. We decided to keep an open mind until a cut of the film was ready to look at. We reached that point last week, and after viewing the movie, we all agreed there is now one title that feels completely appropriate. And so: "The Hobbit: The Battle of the Five Armies" it is. From her almost heart-breaking and all too serious Let Me Go music video, Avril Lavigne has made a complete 180 degree turn to showcase her quirky, sweet and almost J-Pop side, almost... Armed with her almost robotic back-up dancers, which amused me greatly with their synchronicity, the music video is a daring pun to give new color and meaning to the phrase Hello Kitty. Children, please avert your eyes, because this is definitely not for you! Not because it's too parental guidance, but because no one can really explain what going behind the story of the video, giving you headaches and disorientation when trying to ponder what it all means. 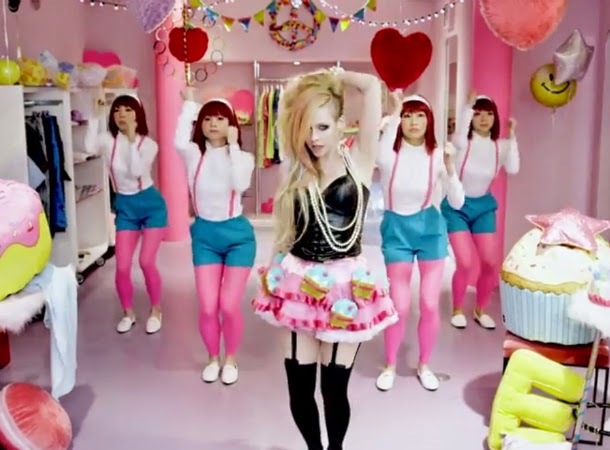 Watch the new Hello Kitty music video by Avril Lavigne. Hello Kitty is the fourth single lifted from the singer's self-titled album released in 2013. It was the eighth track of the said album that was written by Avril Lavigne, Chad Kroeger, David Hodges, and Martin Johnson. This same group also produced the song, together with Kyle Moorman, and Brandon Paddock. The music video was actually filmed in japan, but it received a backlash from J-Pop aficionados and criticisms beyond repair. many believed that the music video is "culturally insensitive" and "lacks energy." 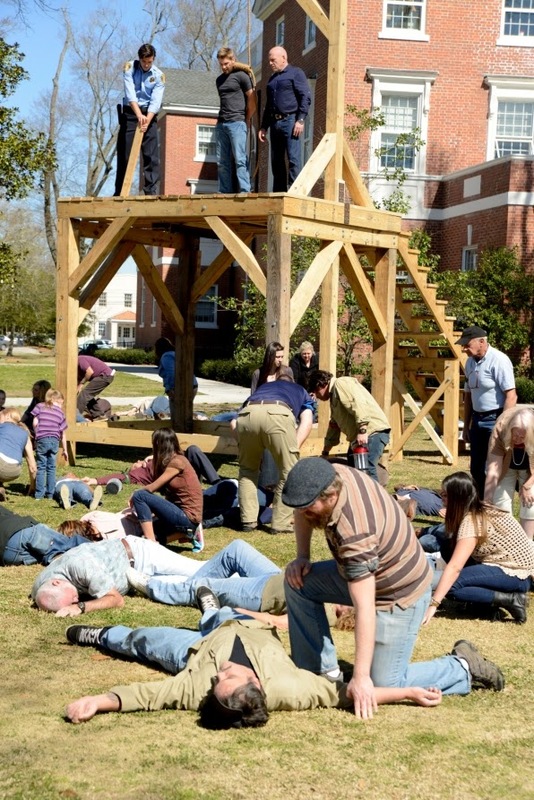 CBS has just release a few photos from the premiere episode of Under The Dome Season 2, based on the behemoth book by Stephen King. 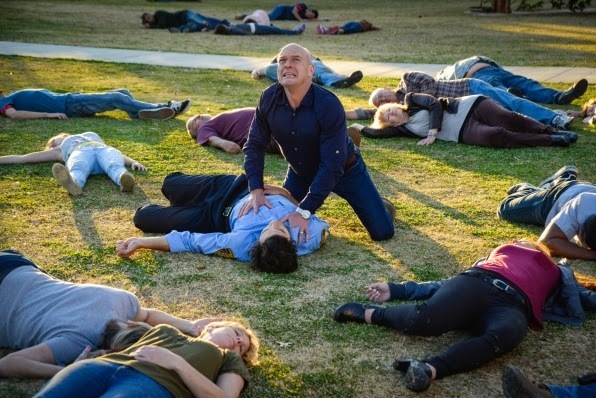 The said photos feature the familiar cast in the events following right after the finale episode of the previous season. You could peruse the photos below, courtesy of CBS. 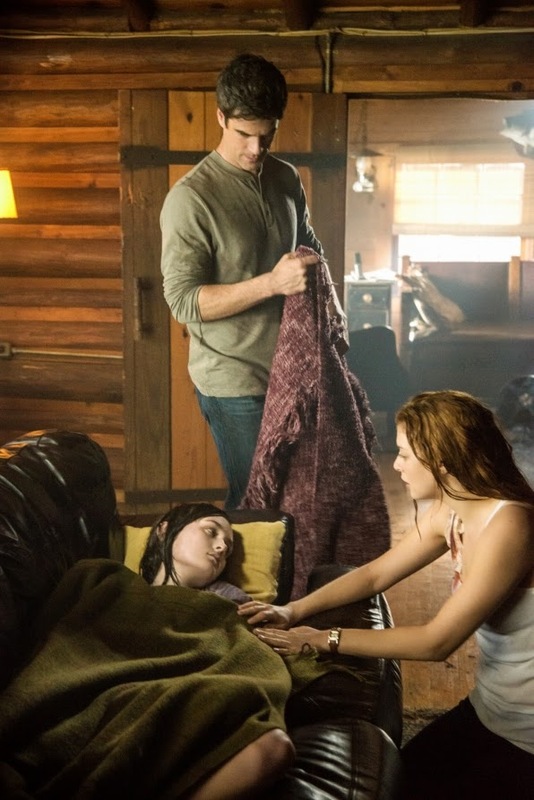 The premiere episode will be called "Heads Will Roll" and is especially adapted by screen by author Stephen King. No synopsis has been revealed yet. 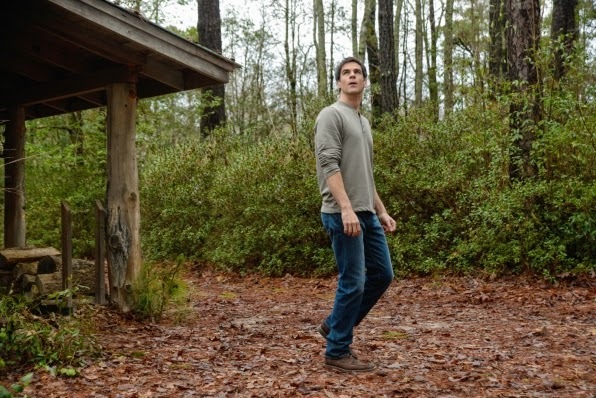 Under The Dome season 2 will premiere on June 30, 2014 at 10:00 PM ET/PT on CBS Television Network. Please note that all photos are owned by Brownie Harris/CBS©2014 CBS Broadcasting Inc. Courtesy of Entertainment Weekly, David Mitchell has unleashed the official cover of The Bone Clocks. This is the fifth novel by the said author -- you might have read his previous books, such as Ghostwritten, number9dream, Cloud Atlas, Black Swan Green, and The Thousand Autumns of Jacob de Zoet. In case you've missed it, Could Atlas had also been adapted to a film. number9dream as also been partly adapted as a short film called The Voorman Problem. I also heard that Black Swan Green is being adapted... Now, how's that for motivation to wait and read his next book? Don't miss this simplistic and quite-but-not-so minimalist cover of The Bone Clocks by David Mitchell. The Washington Post dubbed him “the novelist who’s been showing us the future of fiction.” David Mitchell is an eloquent conjurer of intricate, interconnected tales, a genre-bending daredevil, and a master prose stylist. Rich with character and realms of possibility, The Bone Clocks is a hypnotic puzzle of a novel that makes you want to take it apart and and put back together the very moment you reach the final page. 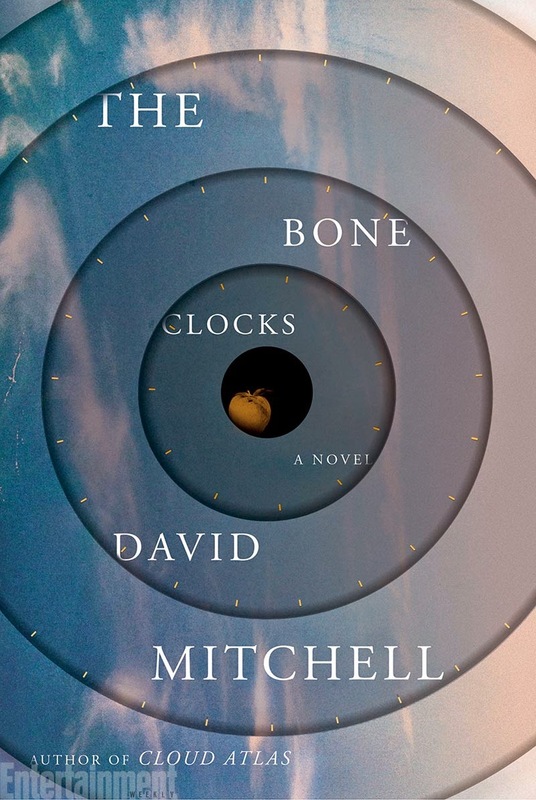 You can enjoy The Bone Clocks by David Mitchell when it gets released on September 9, 2014. It's still more than 8 months before fans could read the much anticipated sequel to Steelheart called Firefight. But since the author, Brandon Sanderson, is making a huge leap of prominence these days, it's no surprise that his publisher would capitalize on that to continue his reign. 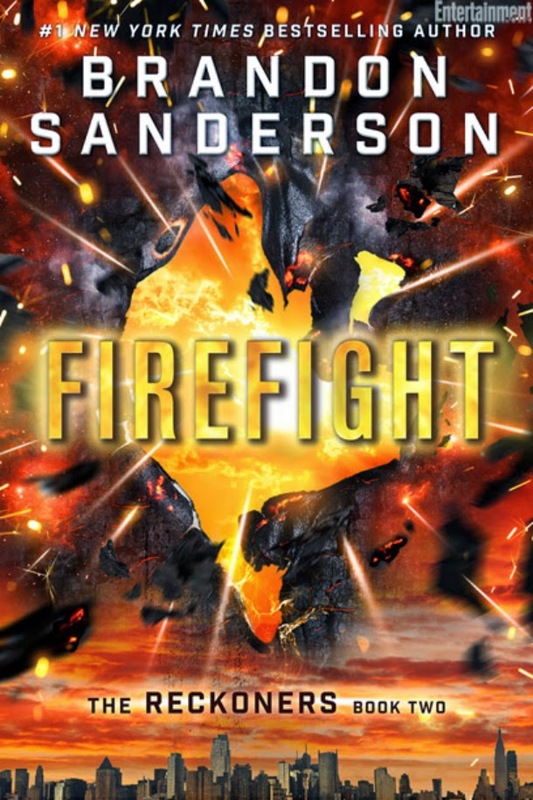 Firefight is one of the books by Brandon Sanderson intended for young adult readers. He is also known for his Rithmatist series for readers of the same age group and up, and for his Mistborn Trilogy, continuation to Wheel of Time series by Robert Jordan, and his equally epic The Stormlight Archive series. Check out the cover of Firefight by Brandon Sanderson. Firefight by Brandon Sanderson will hit book shelves on January 6, 2015. But before that make sure you read the first book in The Reckoners series, Steelheart, and the short stories called Mitosis. The reign of Midnight Memories album by One Direction is still far from over. They are still on their fourth single with You & I, the fifth track from this package, and was produced by John Ryan & Julian Bunetta and written together with Jamie Scott. This literally face changing and body multiplying music video utilizes one of the most basic tricks in videography. It was shot at a laid back pier. The following music video was directed by Ben Winston and was released on 18 April 2014. 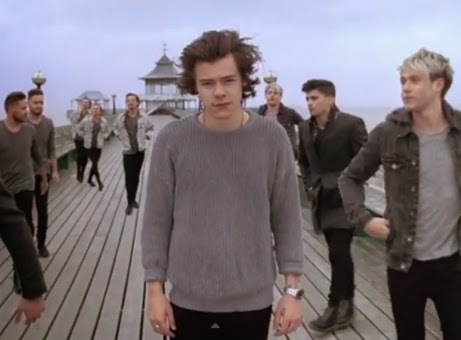 Watch the new music video of You & I by One Direction. What do you think of the band's maturing theme? Expect a lot more music videos to come and hopefully more studio albums. They are growing old fast, and hopefully they're also growing up in their craft. Now let me figure out how did they pull these magic tricks off. Yahoo! Movies has released two new materials from the highly anticipated How to Train Your Dragon 2. First up is a clip, featuring a viking sports that belittle the grandeur of Quidditch. We see that the characters have grown a lot in the five years we didn't see them, but still the playful children in them is still apparent. Check out the new clip from How To Train Your Dragon 2 called Black Ship. 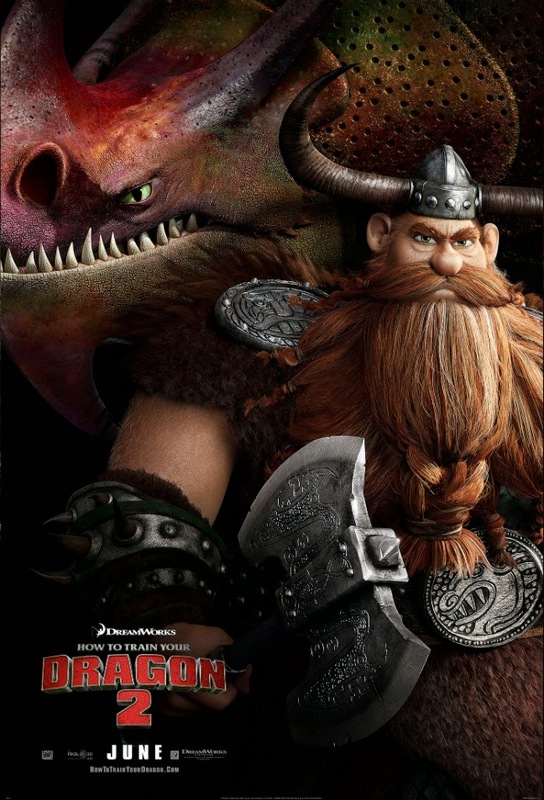 And how about the latest character poster from the bunch, featuring Stoick the Vast and his new dragon Skull Crusher. How To Train Your Dragon 2 will fly to theaters on June 13, 2014. If you compare the molding manufacturing process to the body's circulatory system, liquid silicone rubber (LSR) is like a heart valve—it's a critical, complex component that highly supports and optimizes a specific type of operation. LSR is a versatile material that's used in the medical, automotive, electronics and aerospace industries, as well as in a number of consumer products. According to Apple Rubber, a leading designer and manufacturer of custom LSR sealing devices, LSR can insulate or be conductive; it can withstand freezing and stand up under high temperatures; and it is both fungus-resistant and nontoxic. 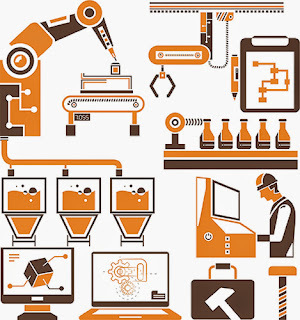 These characteristics make LSR highly valued in the manufacturing industry. As LSR's popularity has grown, so have opportunities for new developments. Apple Rubber has developed precision mold capabilities, including injection molding and compression molding, according to the company's products page. LSR injection molders are actually a recent manufacturing trend fostering bigger collaboration. The benefits of LSR initiate the creation of more intimate relationships between product design and development. 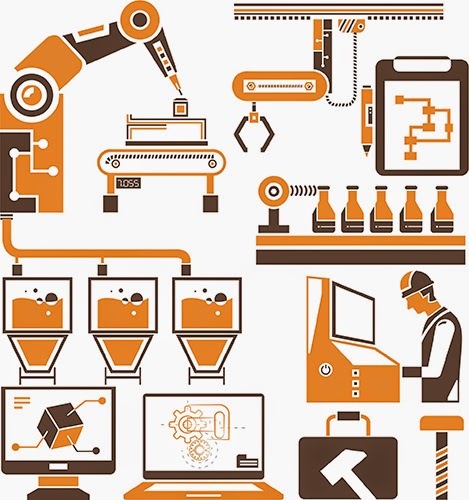 These close relationships improve a product's manufacturability and precise functionality. Liquid silicone rubber advancements have also just recently joined metal injection molding as part of diverse manufacturing processes and injection molding services. AZoM, a top materials information source for the global engineering and design community, identifies LSR as a thermoset engineering material adopted by medical, electronics and consumer product industries for specific applications. In the same vein, small metal parts, used for medical, electronics and automotive industries, can be formed by metal injection molding, which is a standard manufacturing process. New technologies, along with the manufacturing expertise of researchers and developers, are advancing the collaboration of LSR and molding processes to meet the needs of diverse industries. The medical industry in particular relies on LSR and its specialized properties for exceptional performance in medical devices, applications and instruments. LSR is biocompatible and hypoallergenic, according to Medical Device and Diagnostic Industry Online (MD+DI), a resource for original equipment manufacturers of medical devices. Along with its minimal risk of allergic reactions, LSR is hygienic, which helps prevent the growth of bacteria and fungi. Other LSR properties, such as its superior flexibility, durability and immunity to heat damage, make it the preferred medical material over latex and polyvinyl chloride (PVC). LSR's expansive medical applications include serving as a buffer for lung catheters, a pigtail catheter sealing component and a silicone tubing coupler. LSR has manufacturing advantages (e.g., one can create a single component using molding, as opposed to combining separate parts using adhesives) that reduce inventory, assembly costs and the potential for a device to leak or fail. LSR medical manufacturing processes include injection molding and bonding LSR-fabricated materials to materials such as metal and plastics. MD+DI expects the use and applications of LSR to continue to grow. By 2016, U.S. demand for silicone is predicted to reach $4.1 billion and climb 5.6 percent annually, according to the Freedonia Group, a global manufacturing market research group. MD+DI underscores the aging U.S. population and how it will affect an increased demand for LSR. The need for disposable health devices (such as catheters) will rise. Subsequently, the need for LSR will also rise. Liquid silicone rubber is also forecast to be increasingly used for the development of polycarbonate CPAP masks that treat sleep apnea and needle-free valves used in clinical treatment settings. I am still awaiting for the mass market paperback edition of Renegade, the second book in Robyn Young's Insurrection Trilogy. Compared with her other books the said editions came quite early, now I am doubting if it should ever come. I am rethinking of completing the Brethren and Insurrection trilogies in hardcover now-a-days. My new project these days is to buy my "adult" reading list in their hardcover format. Maybe this is the right time since the third book in Insurrection is about to be released. This would be costly, but I guess this is a good investment... I am thinking of the future were rare copies of these books would be costly if auctioned. LOL. 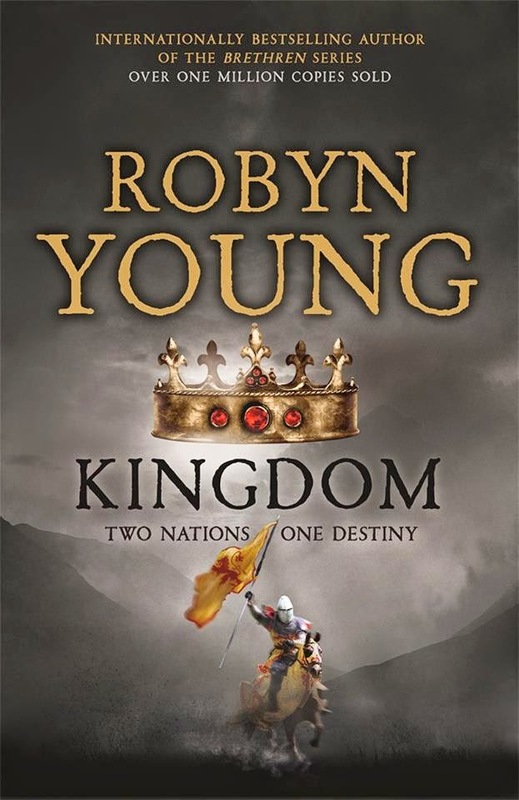 I am quite surprised of the floating crown in the new cover of Kingdom by Robyn Young. Do you feel the same? An epic story comes to a thrilling climax as Robert the Bruce nears the fulfilment of his destiny. Robert has achieved his great ambition to be crowned King of Scotland, but in so doing has provoked the wrath of Edward of England. Raising the feared dragon banner, the English king marches north, determined to recapture the kingdom. But the English are not Robert's only enemies. By murdering his great rival, John Comyn, he has split the kingdom apart and with his forces depleted and many of his own countrymen turned against him, Robert is forced to flee into the wilderness. He has a crown, but no country, the will to lead, but no real authority. The road before him is all but impossible, with treachery and heartbreak at every turn, but Robert must try slowly, surely, to regain the military advantage and the respect of a nation. Fighting from hidden strongholds and the Western Isles, with the support of a few brave men and the alluring noblewoman, Christiana, Robert drives towards the place where he will meet Edward II and decide the future of Scotland, in an epic confrontation near the village of Bannockburn. Kingdom (Insurrection Trilogy #3) by Robyn Young will hit shelves on June 19, 2014 (UK). This spring a new movie "The Other Woman" is going to make you laugh and think about one of the worst things that could ever happen to you, if you’re in love. It tells the story of a man and his cheating game. Somehow his wife and two girlfriends meet with each other. Instead of hating and creating a huge drama in the eyes of the cheater, these women team up and create a plan of revenge. If you’re in love you probably get it how much it hurts to be betrayed. 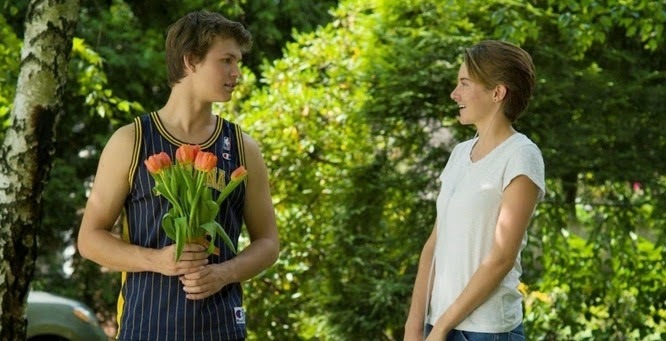 But this movie is not a sad one, it is a romantic comedy that’s supposed to show you some lovely stuff and good jokes. That’s what it actually does. The Other Woman has an absolutely incredible cast, starring the gorgeous Cameron Diaz, the funny and beautiful Leslie Mann, the handsome Nicolaj Coster Waldau and some new stars that are extremely hot, Nicki Minaj and Kate Upton. So, if you ever watched the TV show Game of Thrones, you must know that Nicolaj Coster Waldau is the perfect XXI century cheater. His confidence, talent and looks make a great liar. Here he plays the role of Mark King, the one who played with many hearts and is about to receive not a positive feedback from his former girlfriends and wife. The movie treats this painful subject in a fun way, involving some huge amounts of alcohol and the beginning of a new friendship between different women who have a big thing in common. You know what they say “once a cheater, always a cheater”. That’s why revenging for such a thing, must be good and refreshing for a woman. And if there is Cameron Diaz, there is fun. So, don’t worry, you will laugh hard and at the same time you will totally get the emotion. This movie teaches women to forget and to forgive in a funny way, the ones who betrayed them. Because every single heart wound it’s going to be healed by the time and by the new people that will appear in your life. This is why, watching such a movie can help you with a little solidarity and fun. The Other Woman is going to hit the cinemas this April. Do not miss the opportunity to watch this new, fun and incredible comedy. Our favorite gang of dragon riders have grown -- same with size and number of the new breeds of dragon we are about to see in How To Train Your Dragon 2. 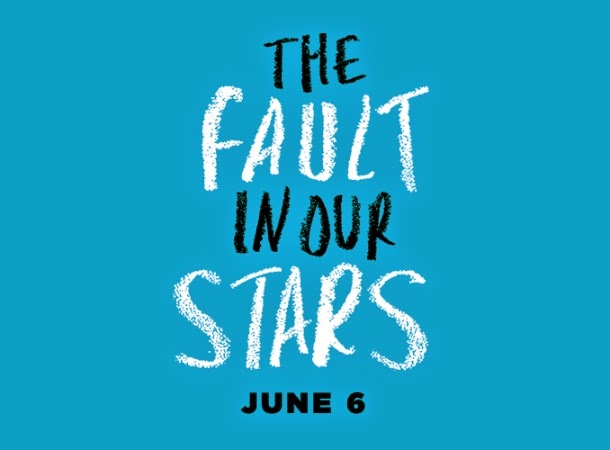 The trailer does not only show us new clips, characters, and more, but it also proves us that this movie will be a good as its predecessor, if not better. Dean DeBlois might be alone directing the sequel, after Chris Sanders only opted to become executive producer, but I think it's for the best. The franchize has never been this good, epic and heart-warming as it tackles larger battle, family relations, growing-up, and self discovery. Discover a whole new world and watch the new trailer of How To Train Your Dragon 2. 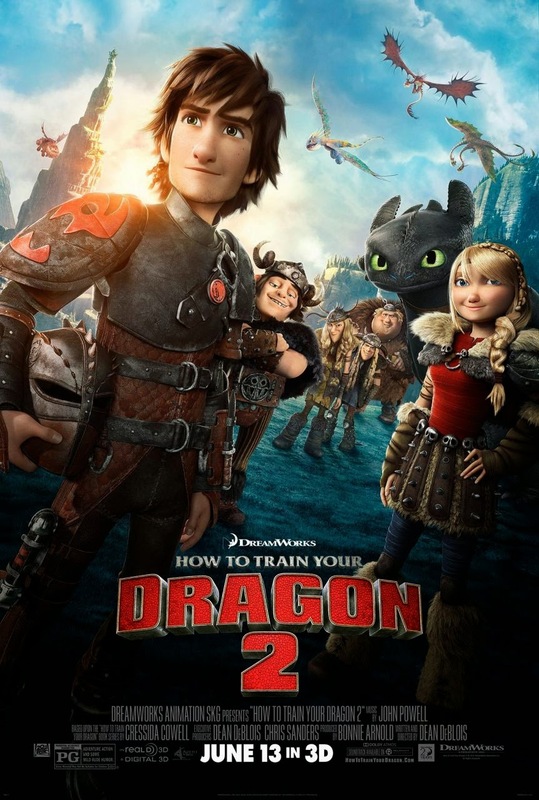 How To Train Your Dragons 2 soars to theaters on June 13, 2014. 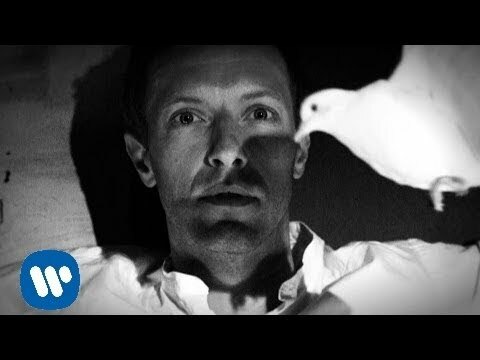 Coldplay, lead by Chris Martin, has given us some mind-boggling music videos in the pst couple of years. Their music was always a certified hit, but the videos are the ones giving it an twist and ethereal feel, multiplying the impact of the song a few folds. In Magic, their latest released music video, they explored the wonders, thrill and scariness of an old carnival or circus. And add a fine beauty in it and every dreamy eyed guys will be sold. Ziyi Zhang, or Zhang Ziyi for some, leads her exotic beauty to brighten the almost nostalgic environment. You can see glimpses of her martial arts skills as well. Watch the new music video of Magic by Coldplay. Magic is the first single lifted from the bands upcoming studio album called Ghost Stories. It is the second track out of nine to be included. This nearly five minute of thinking tune was written by Guy Berryman, Jonny Buckland, Will Champion, Chris Martin and with the same -- along with Paul Epworth, Daniel Green, and Rik Simpson -- producing it. The music video was directed by Jonas Åkerlund, who is also known for helming some music videos by Maroon 5, Beyonce and David Guetta. It serves as a tribute to silent films. The Fablehaven and Beyonders series have been a joy to read. The stories bring out the young boy in me. All that thanks to Brandon Mull's fresh new premise and brilliant writing. And if you are like me, who is hungry for more Brandon Mull stories, then his Five Kingdoms series wont disappoint. Sky Raiders, the first book in the series and is already out for the taking, opens the story of Cole Randolph. This seemingly normal boy was hoisted into a magical adventure that landed him on The Outskirts... and the story continues with the The Rogue Knight. 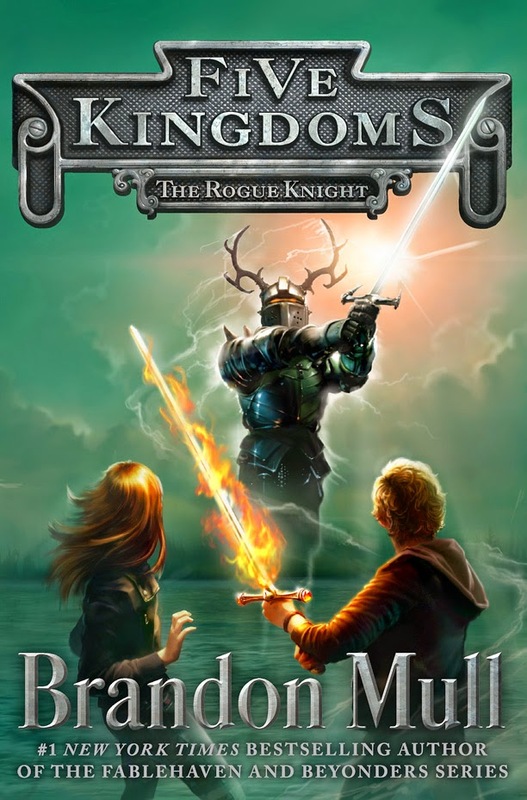 Check out the cover of Five Kingdoms: Rogue Knight by Brandon Mull. Cole’s search for his friends has led him to Elloweer, another of the five kingdoms that make up The Outskirts. He’s accompanied by Mira, Twitch, and Jace—new friends he’s met here in the Outskirts who each have their own important missions. Five Kingdoms: The Rogue Knight by Brandon Mull will be available for every readers enjoyment on October 21, 2014. 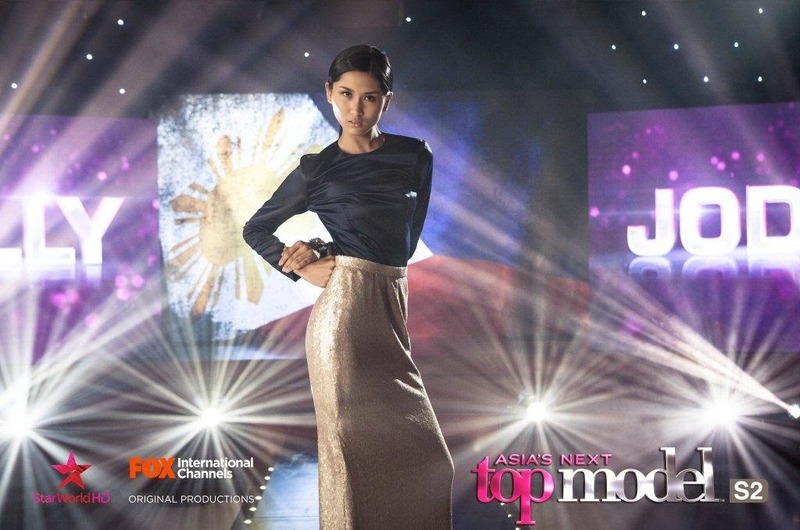 On April 9, 2014, the winner of Asia's Next Top Model Season 2 has been chosen. Philippines has two contenders, but the crown went to Malaysia, Sheena Liam. Jodilly Pendre, one of the Filipina contenders, came in second. But that does not stop Filipinos from hoping -- and questioning -- the result during the finale. The verdict is final, but the exotic Pinay beauty will always be our winner. If we look back in the previous season, a Filipina beauty also made it to the top 3 and ending First Runner-Up as well. That's just a legacy that Filipinas always excel in everything. And to relive this seasons triumph let's go back through the dys and reminesce with the complete profile of Jodilly Pendre. Here is the complete book of Jodilly Pendre on Asia's Next Top Model Season 2. 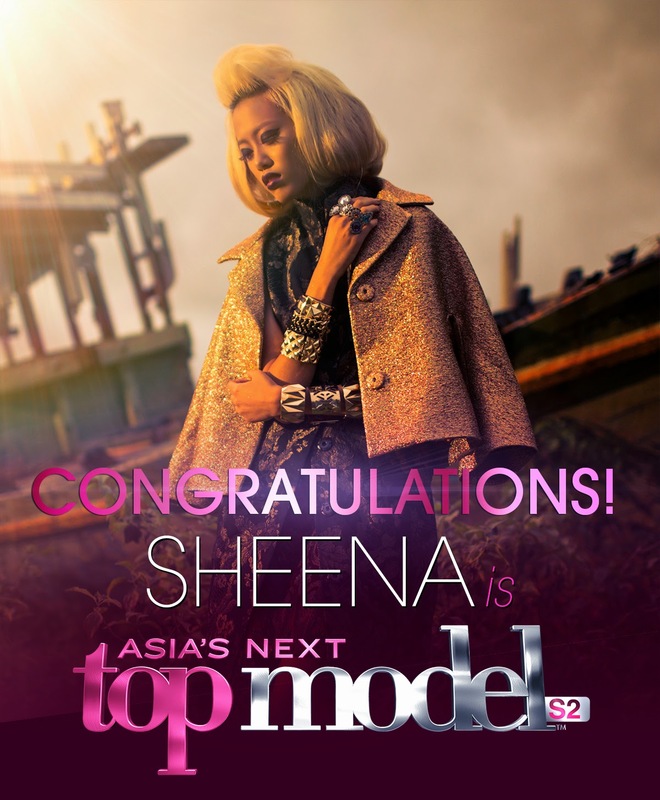 View Asia's Next Top Model Sheena Liam's profiles.